The Yaesu FRG-9600 VHF-UHF receiver covers from 60 to 905 MHz in the following modes: AM, AM-W, FM-W, FM-N, USB and LSB. Seven tuning rates, ranging from 100 Hz to 100 kHz, are available. Enjoy a total of 100 memories organized in ten banks of ten. You may also enter frequencies directly via the numeric keypad or simply tune the manual VFO knob. Estimating the value of a rig can be challenging. 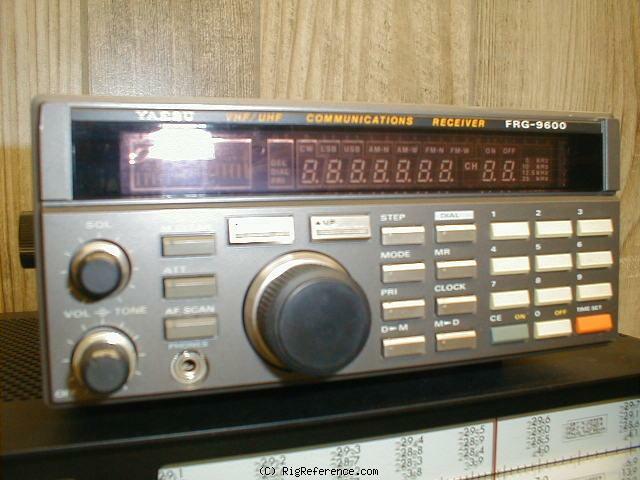 We collect prices paid by real hams over the years to help you estimate the current value of the Yaesu FRG-9600. Just bought or sold this model? Let us know what you traded it for and help other ham operators!